With websites and blogs becoming an essential element of business growth, you may have heard of the often misunderstood term “SEO” or search engine optimization. It needs to be considered as a long term and ongoing marketing strategy for most businesses that have entered the online universe. It is a strategy that if planned and implemented well, will place your website on the first page of a Google search. Before we begin, I thought it might be a good idea to clearly eradicate common misconceptions around search engine optimisation. Good SEO companies are committed to continue to drive relevant traffic to a website that is aligned to its business goals, not just increasing rankings. A great benefit of having a website optimised for search engines is that the traffic that it brings is “free”. You don’t have to pay a dime for Google Adwords or Facebook for advertising to drive that all important traffic. For sites that are well optimized for search engines, it can bring 40-50% of the page views to your site. While as marketers we are well versed in setting the foundations for long term success via search, here are 5 quick and easy tasks you can implement that can have a serious impact on your business. 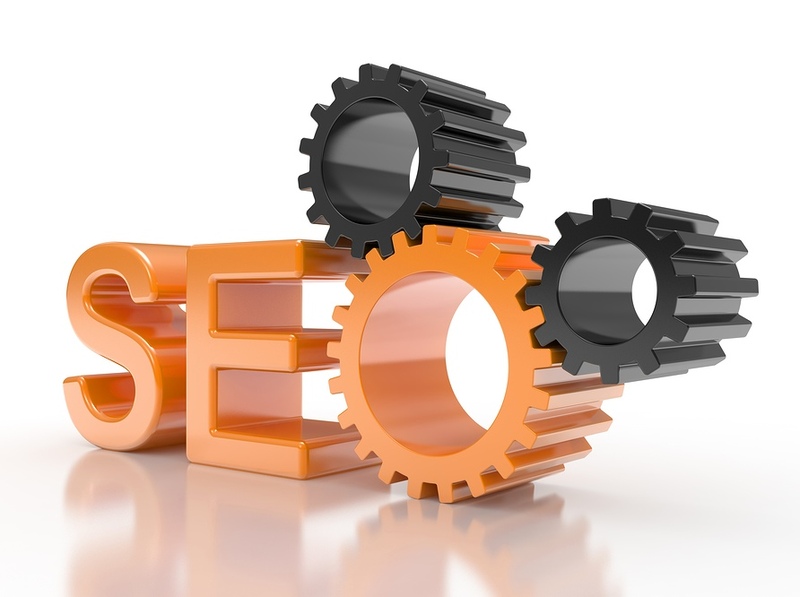 The title tag has long been regarded to be the most important on-page SEO element. Albeit the oldest trick in the book, it works! For those unfamiliar with the page title, it is the phrase that appears at the top of your browser when visiting a web page. It is also the phrase that appears as the clickable phrase in the search result (shown below). Best practice dictates that a keyword loaded page title is highly effective at increasing rankings; this 70 character piece of copy (approx.) is also very much an influence on whether search engine users click through to your website. Therefore it is extremely important to test and improve your title to maximise click through to your website of blog. Take Discount Printing’s flyers offering for example, with a long standing offering within search engines, their Flyers title is extremely well optimised for the term. Pro Tip: For ultimate search ranking performance, move key phrases and words to the beginning of your title. Similar to the title tag, the meta description is yet another piece of information used to describe a website. This piece of information isn’t visible on your website, however search engines display this information to users within the search results (as shown by StyleTread below). In 2009 Google publically declared that the meta description was no longer used in its ranking algorithm, so what’s the point? By drawing the user in with relevant and enticing ad copy, you begin to drive relevant users and prospective customers to your website. Be sure when crafting your meta description that you convey your unique selling proposition, calls to action and description of the page all within 155 characters. Pro Tip: Do you run a Pay Per Click or Adwords campaign? Use your highest converting and best click-through Ad copy to lift your organic click through rate. Google Authorship is a relatively new concept facing the SEO industry. If Google considers you an authoritative and popular author (Social Shares, links and website engagement), your content should, in theory, be ranked above various other Google listings. As you can see these image-enhanced listings are far more appealing than Google’s usual text listings. If you’re wondering how this affects your SEO beyond rankings, think back to people looking through the search results. If your listing stands out due to a pretty picture then more people are going to be driven to your website. If Google authorship is something you’d like to implement, start out by making sure every author featured on your website has a Google+ account. Find easy to follow steps and instructions here. If you’re a WordPress based website, CopyBlogger provides an easy to follow step-by-step guide. Pro-tip: Go through your archives and ensure all your posts include the correct authorship mark up. For those with limited time and resources, prioritise your best performing pages. If you’re not signed up with Google Webmaster Tools, what are you waiting for? When the world’s leading search engine is telling you what’s wrong with your website, listen. For those familiar with the tool, within your website’s profile navigate to: Health > Crawl Errors > Not Found. Valuable authority built up over time to simply vanish as the page no longer exists. By 301 redirecting these pages to the most relevant page (or the home page, if there is no ‘relevant’ page), you are transferring your valuable authority across to where it matters most, while keeping your prospective customer happy. Pro-Tip: Ask your web developer to create a custom error document to engage and direct the users to your key pages (for misspellings). To get your creative juices flowing check out these 16 creative 404 pages. Yet another aspect of search engine optimisation is ‘links’. These are viewed as votes and make your website or blog more authoritative in the eyes of search engines (and ultimately improve your rankings). In the wake of Google’s penguin updates, gone are the days of risking your website and livelihood on the back of shady link practices. Links intended to manipulate search rankings are heavily frowned upon by the Big G.
Do you or your business have any memberships or affiliations? Do you have (or can you create) any corporate associations or business partnerships, whether formal or informal? Do you have any suppliers that have websites? Do your customers have websites? Are you involved with any local councils? Are you involved with any education providers? Have you sponsored any charities or events with your services or products? Do your family or friends have websites? All of these are possible sources of valuable links and promotion of your website. So sit down and work through each of the 8 questions above and outline your plan of attack. Pro-Tip: Make it easy for your network to link to you! Can you provide your suppliers a testimonial or your clients a badge? By making it easy for your client to link to you, you can increase your chances of gaining valuable links. Next time your website or blog traffic stagnates, set an hour aside and action all of the above points. I promise you’ll be blown away by the results.